GeekBuddy by Comodo Security Solutions Inc - Boost Your PC. Comodo's GeekBuddy services are Comodo's paid-for chat-based support services to help users who are experiencing issues with their PC. The Services are provided only via Internet chat and remote desktop sharing. Download Boost and enjoy your PC. Remove GeekBuddy from your PC. 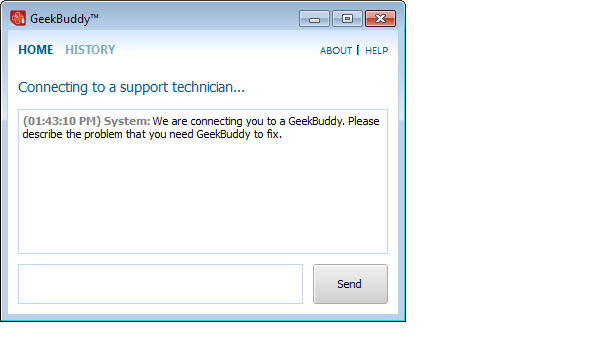 Why should I uninstall GeekBuddy? Unless you are actively using GeekBuddy you should disable it from running as it utilizes an abnormal amount of system resources even when you PC is idle. It is also configured to auto start and run in the background when your PC boots. It is recommended if you want to continue running GeekBuddy, you should only use it on demand and start it manually when needed. To the right of the list item, click the Uninstall button and Boost will completely remove GeekBuddy from your PC. Use Add/Remove Programs control panel in Windows makes to uninstall GeekBuddy. Follow the appropriate instructions below to use this control panel. Select GeekBuddy from the list of programs, and click Uninstall. Alternatively, right-click the program and select Uninstall. Select GeekBuddy from the program list, and click Uninstall. Alternatively, right-click the program and select Uninstall. Select GeekBuddy from the list of programs and click Remove. Boost helps you remove GeekBuddy by Comodo Security Solutions Inc and optimize your PC.